Nabataean Kingdom. Aretas IV (9 BC-AD 40). AE 20mm, 5.51g. 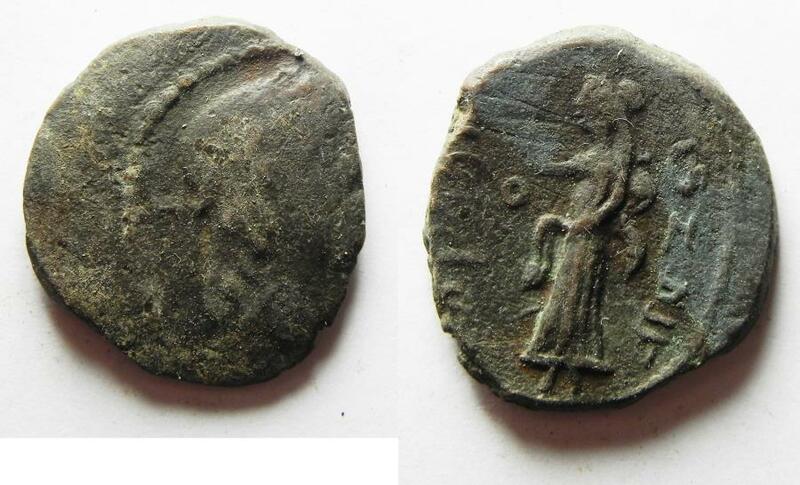 Struck in regnal year 4 (6/5 BC). Nabataean Kingdom. Aretas IV (9 BC-AD 40). AE 20 , 5.51GM Struck in regnal year 4 (6/5 BC). Laureate head of Aretas IV r. / Veiled female figure standing l. Mehorer 55.